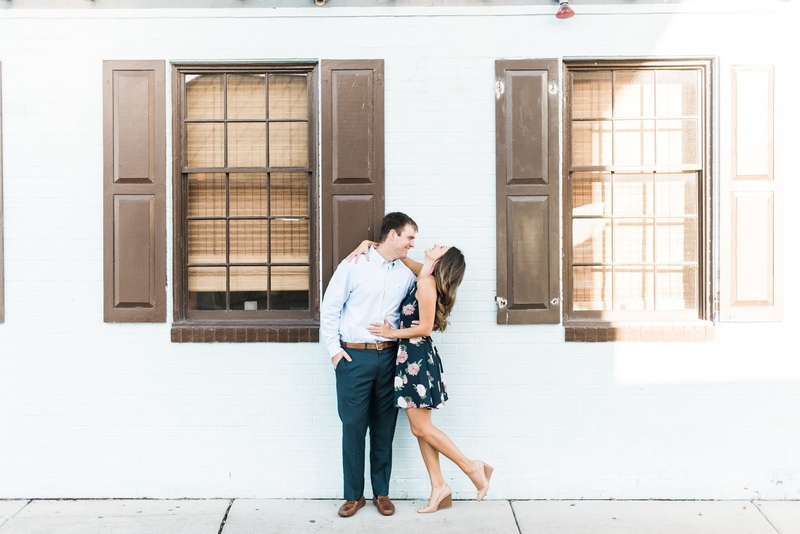 Today, I'm excited to share some of our engagement photos and talking a little bit about our photographer, Kate Supa! 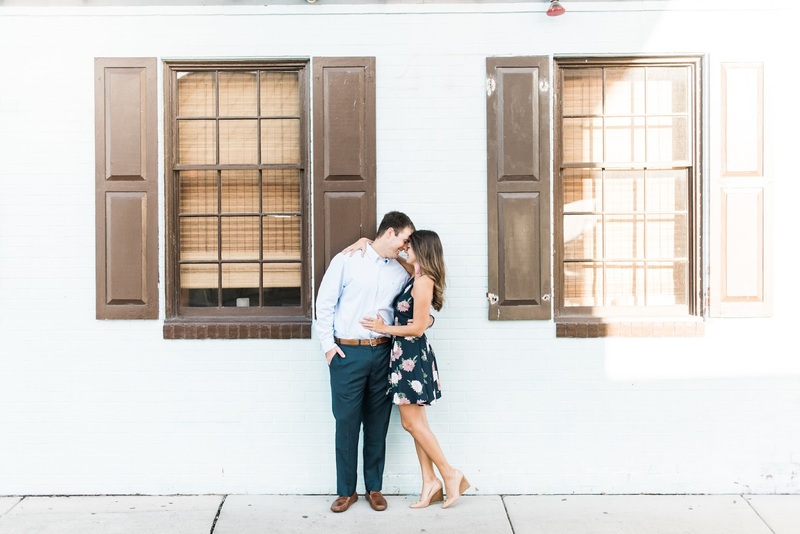 Choosing a photographer was probably one of the easiest decisions in the wedding process as I had fallen in love with Kate's work months before. 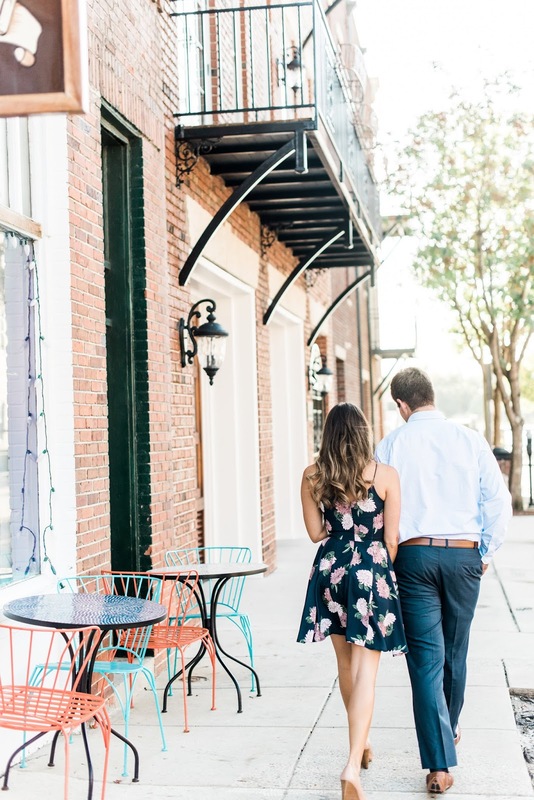 She had reached out to me for work about a River Landing wedding to let me know if had been featured on Style Me Pretty. As soon as I saw them, I headed straight to her website and immediately gravitated to her photos. 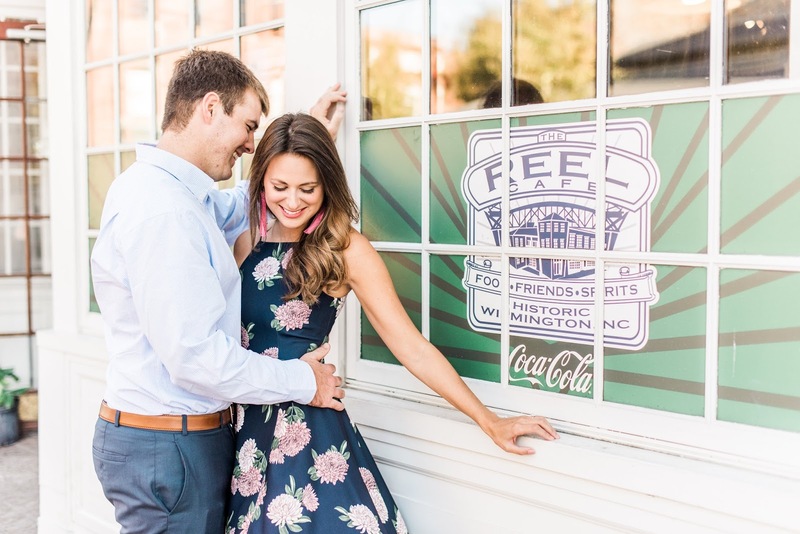 A few months later, when Stephen proposed and we started making wedding decisions, I didn't really explore any further than Kate because I knew she would be a perfect fit! When it came time to schedule engagement photos, I knew I wanted to do them sooner than later. I wanted them to be right in the season change so I could get away with wearing a sleeveless dress but I also didn't want it to be incredibly hot. The original date was scheduled for the Thursday before Hurricane Matthew rolled in. We didn't cancel right away, instead hoping the rain would hold off. Finally, we made the call to reschedule, and the day we ended up picking was absolutely perfect. It was a gorgeous day with a mild temperature, which was exactly what I was hoping for. 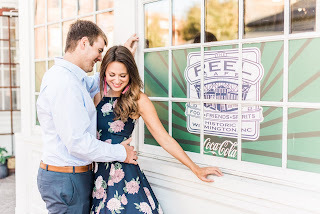 I also was fairly certain I wanted two looks with two different locations - so we opted for downtown Wilmington which is so full of color and texture and then for our house at Wrightsville Beach, which is also where Stephen proposed. 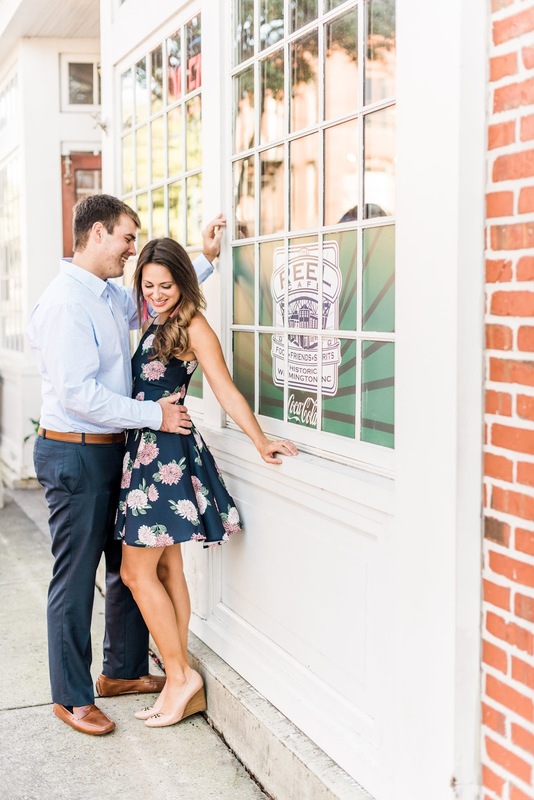 For our first set which I'm sharing today, I wanted something fit & flare. 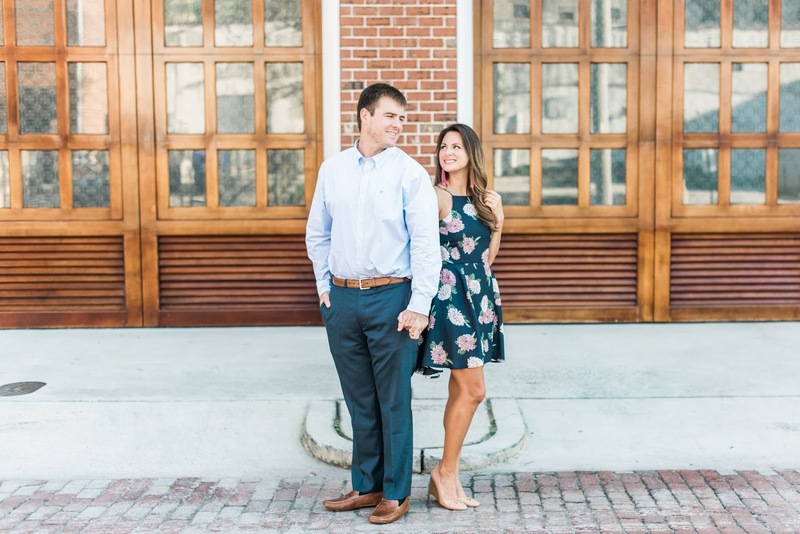 My heart was set on an emerald green dress that I found in an engagement shoot on Pinterest, but I couldn't find anything exactly like I was wanting. I ended up coming across this dress by Keepsake and knew it would be a great fit for the look we were going for. Sure enough, I love how this dress photographed! 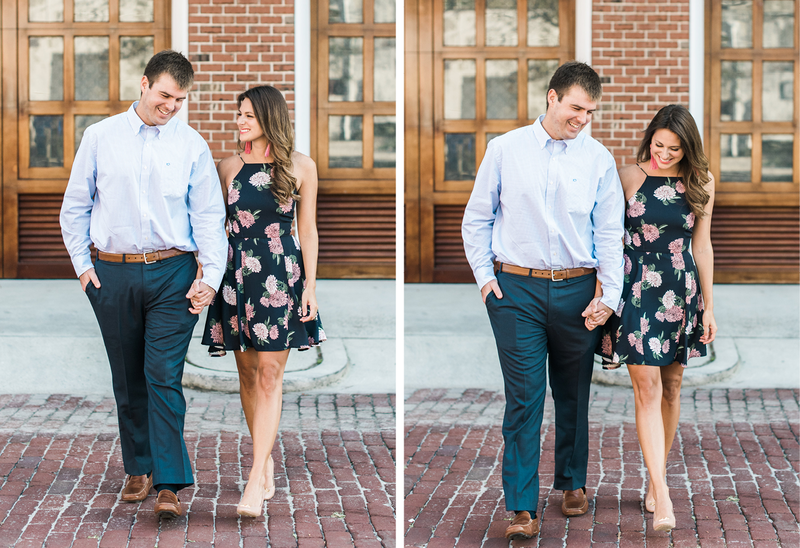 I was also pretty nervous about engagement pictures - but Stephen is such a blast and kept me laughing the whole time. I think he was more calm, cool, and collected about the process than I was. And it certainly helps that we have an amazing photographer who was less about posing and more about just interacting with each other. I think I will look back on this day less for the photos and more for the fun memories Stephen and I made together. 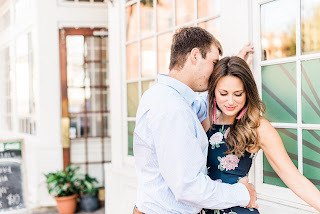 This one is picture heavy - but I'm excited to share some of my favorites from our first location!